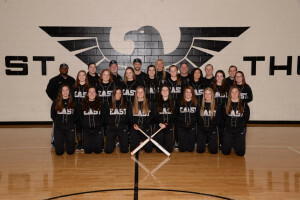 This weeks Tide Cleaners, Lakota East Team of the Week is the Thunderhawk Varsity Softball Team coached by Steve Castner. The girls are producing another outstanding season with an overall record of 19-3 and a 13-1 mark in the GMC. The pitching has earned 8 shutouts so far and is 2nd in the GMC in ERA with a 1.91. East is 2nd overall in the league in hitting with a team batting average of .393. East is also 2nd in the GMC with a fielding percentage of .950. The Hawks are the defending conference co-champs and will seek another title as the regular season closes out next week.